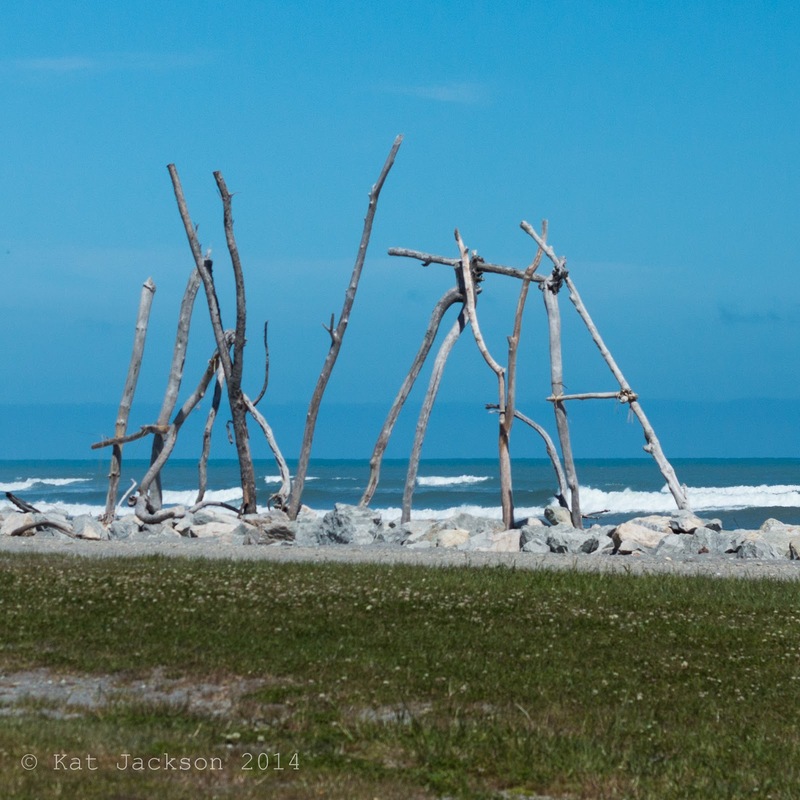 Travelling further south along the West Coast, we stopped for brunch at lovely Hokitika. Chris spent a little bit of time taking "dronies" on the beach, and had a great conversation with an elderly German man about RC technology. 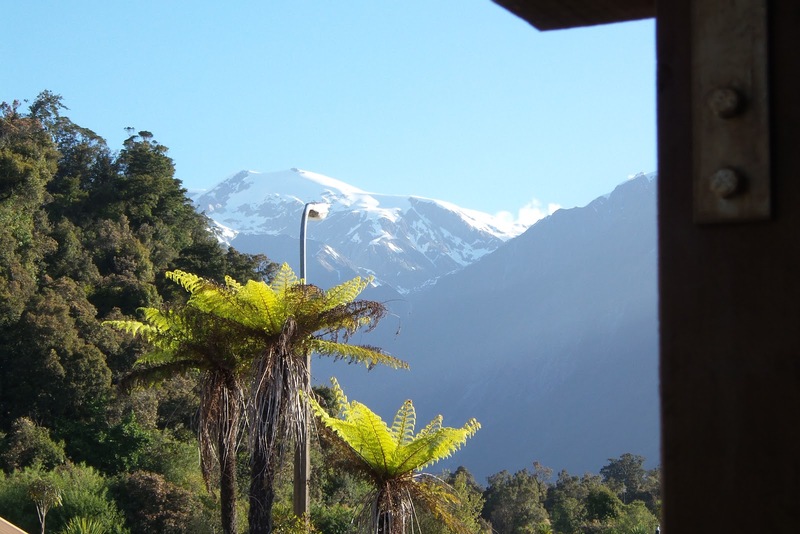 Franz Josef is a beautiful town. Set up entirely for tourism, it's not short of accommodation or restaurants. We stayed in a lovely little unit about 200m from the main street. 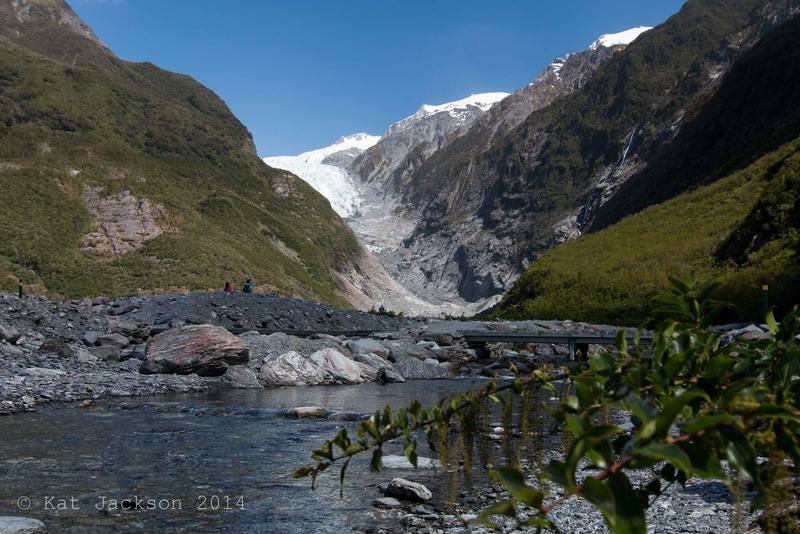 You can no longer walk up to the face of the glacier (for safety). 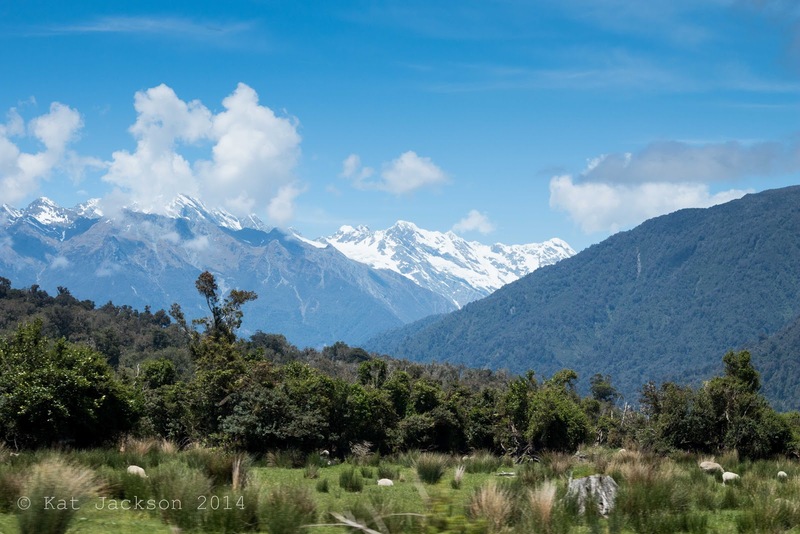 We trekked along the ground level DoC track across the glacial valley. It was burning hot, and there was no shade. There was plenty of information about the glacial retreat, with photos and diagrams of how it looked in the past. As little as a few years ago there was substantially more ice. 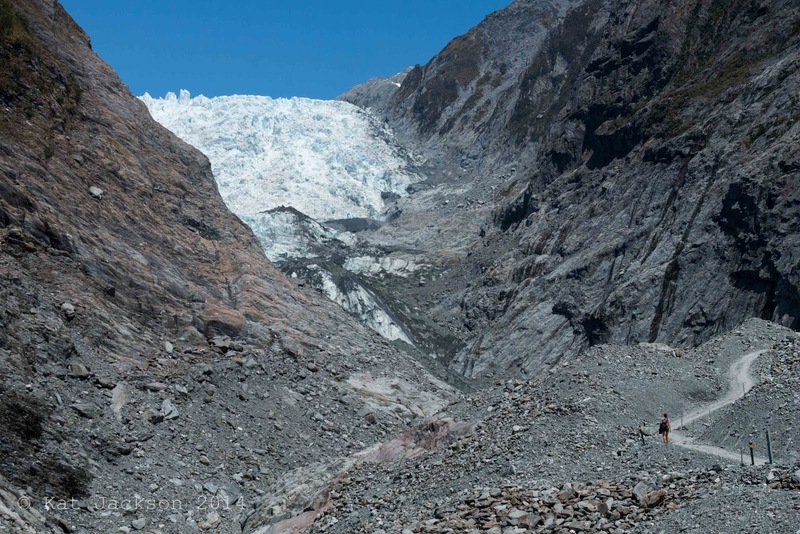 It's incredibly sad to see what climate change is doing, and rather ironic that the only way to get up close to the glacier now is to take a helicopter (using fossil fuels). 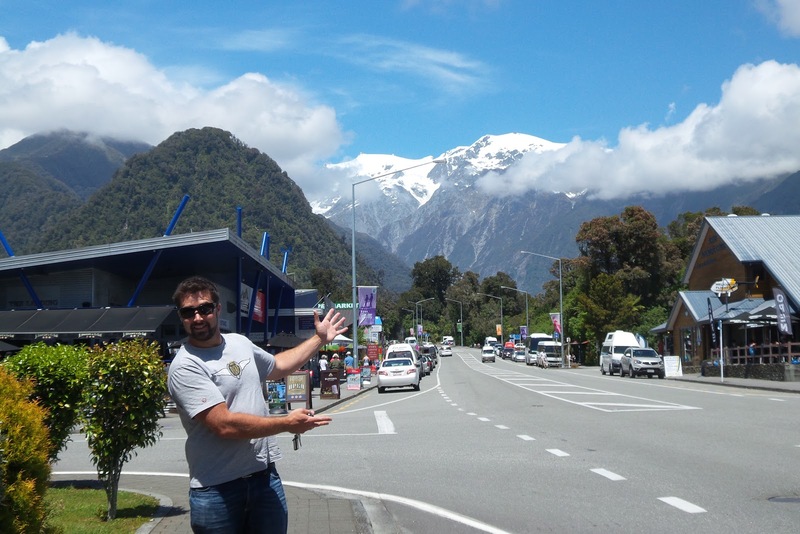 Franz Josef was our last stop on the West Coast before driving on the Haast Pass across the Alps to Wanaka. That is breathtakingly beautiful and so sad that it's being destroyed by the very thing many politicians here claim doesn't even exist. Oh, I know (and I agree on both counts)!